The living room has large and comfortable leather couches, LCD 42 inch TV with cable and surround sound, a piano and record player. The bedroom hosts a large and comfortable queen size bed, an LCD TV with cable, night tables, desk, walk-in closet with a recently purchased washer and dryer. There are air conditioners in each room. 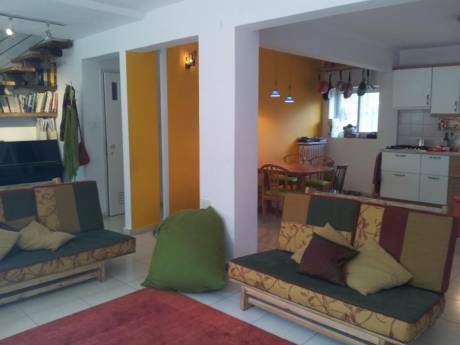 The apt is located in the quiet hills of Ramot, Jerusalem. 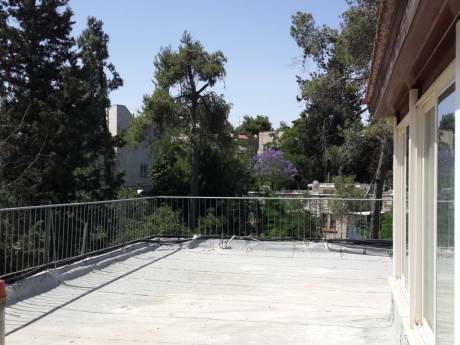 There is a balcony overlooking the hills of Jerusalem. 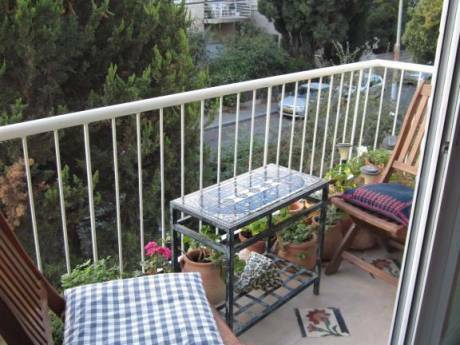 The balcony has a garden with an olive tree, mint and Rosemarie plants, a perfect place to build a succah. We love traveling all over the world. we used to be a member of the couch surfing website before we got married and after meeting different people all around the world, we would like to try the experience of being independent.. We personally don't like traveling by the book as tourist and we found this website perfect for achieving our goal and having the experience of really live the place we're going to. Our neighborhood is very quite and pastoral, were 2 min walk from a beautiful forest which you can hike and ride your bike. there's also a playground 2 min walk from the house, by the forest. The apt is a ten minute drive to the center of town. A bus stop is located a block away that also arrives to the center of town and central bus station. we are observing a beautiful view of Jerusalem from our garden. There is a mall 10 min walk, a supermarket down the block, a shul 2 min walk and a beautifully promenade 10 min away.